What’s better than S’mores? 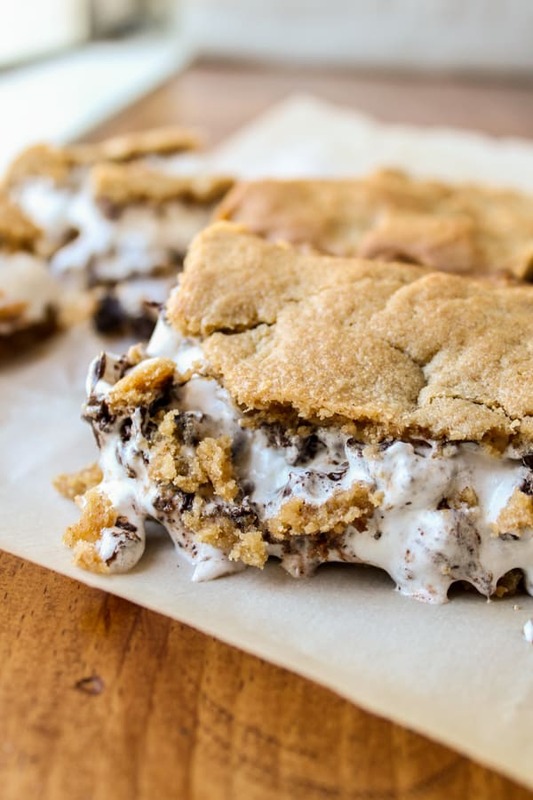 S’mores Bars, because they have butter. 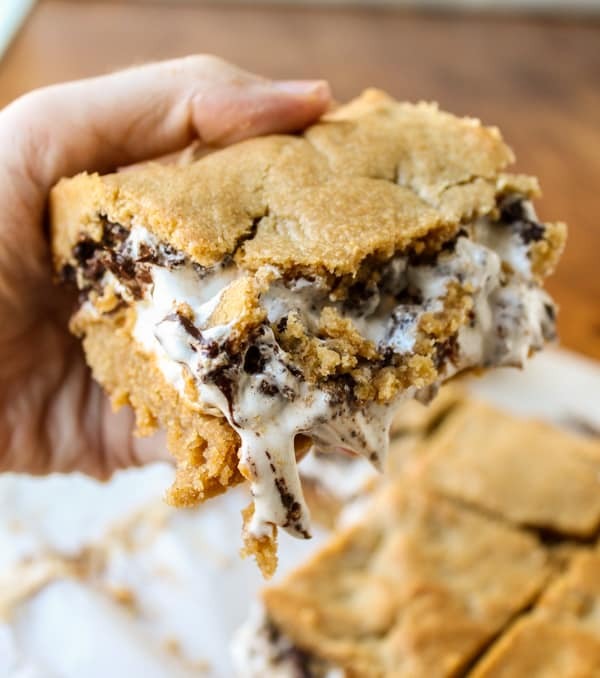 What’s better than S’mores Bars? 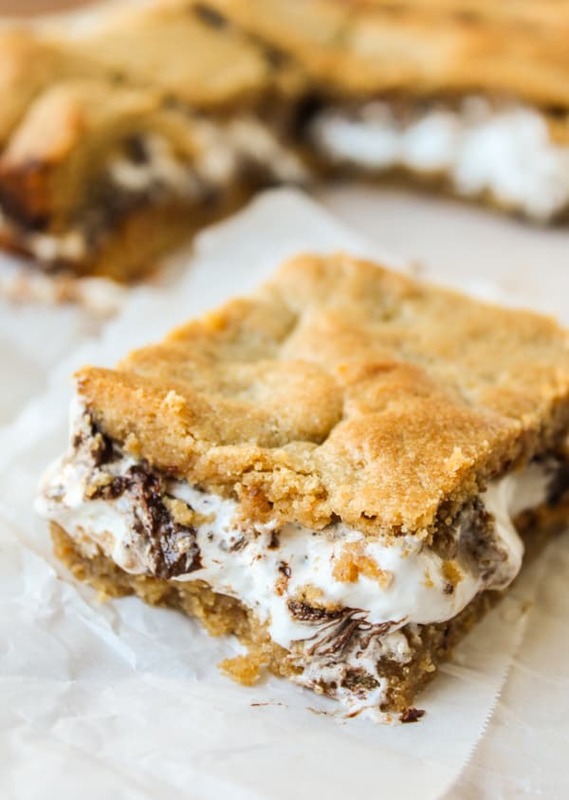 Peanut Butter S’mores Bars, because, well, peanut butter. Duh. Today I was on the phone and my nephew started tugging on my arm. “Not now Eli I’m on the phone.” So he whispered very quietly, “Truman is in the fireplace.” Yes, my 16 month old son. Not hands-in-the-soot. WHOLE BODY in the fireplace. 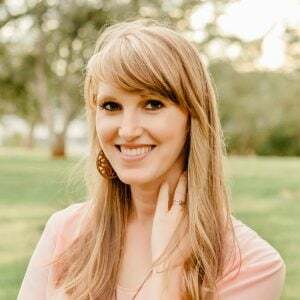 We live in such a great neighborhood, but it’s true that sometimes I feel like I’m the only mom around who is not giving my kids a bath every single night, feeding them organic veggies at every meal, and getting a new government-approved carseat every other weekend. I mean don’t get me wrong, if I saw a frazzled lady forcing her baby into the fireplace I would call the cops too, but only after I asked her if she was doing it for a photo. 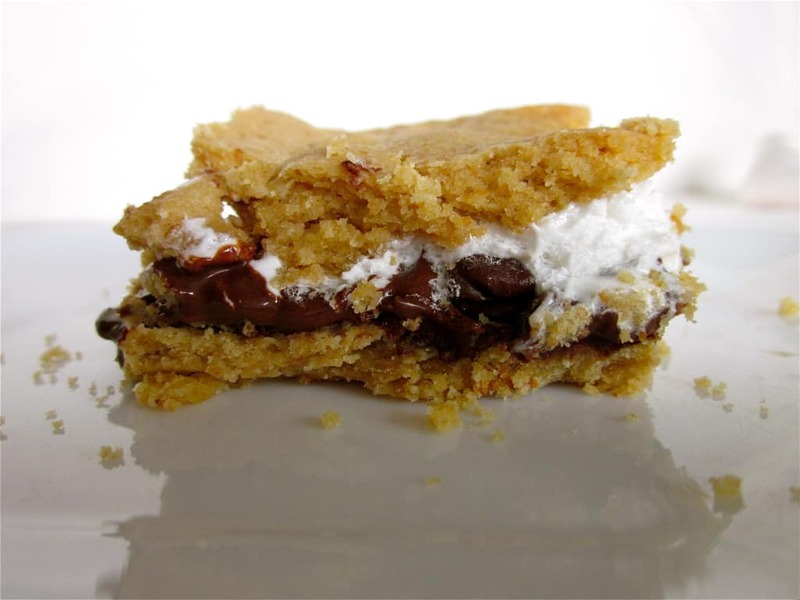 Have you guys tried making s’mores with a Reese’s Peanut Butter Cup instead of regular ol’ chocolate? If not you are MISSING OUT. Holy smokes it’s delicious. It’s still summer (please say it’s still summer!) so bust out those graham crackers and try it out. Worth it. 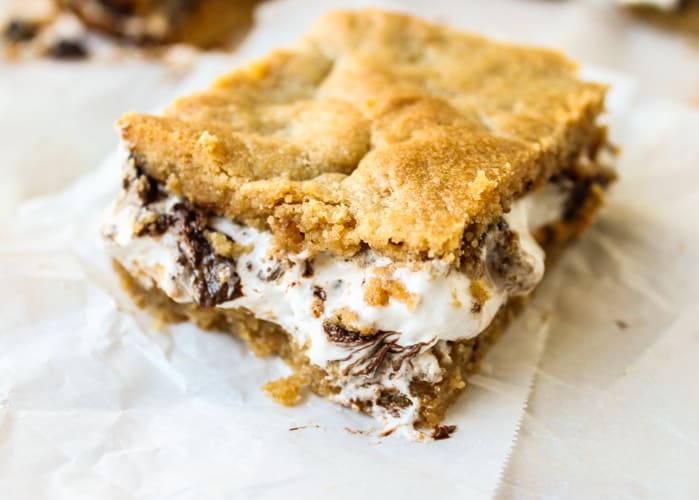 Or just make these Peanut Butter S’mores Bars. They are so rich and gooey and peanut buttery. 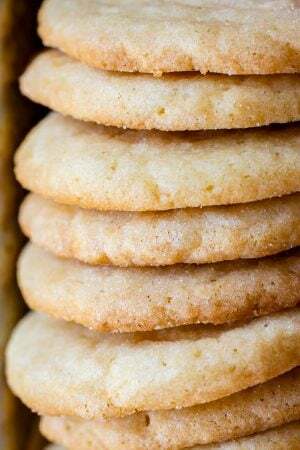 Seriously, don’t make these if you don’t have any milk. Just don’t. I added peanut butter to the graham dough, as well as a full layer of peanut butter beneath the marshmallow and chocolate. They are melt-in-your mouth soft. 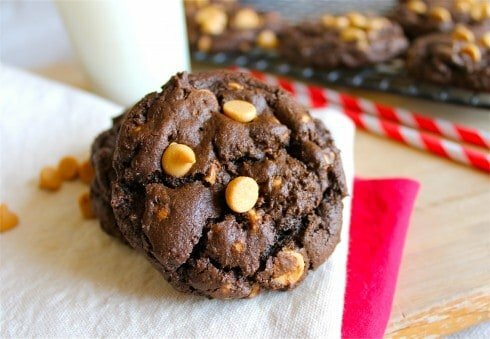 I wonder if these would be good with almond flour and almond butter, to make it gluten and peanut free? Let me know if you try it! Preheat the oven to 350 F. Grease an 8x8 or 9x9 inch pan with nonstick spray, or line with parchment paper. Set aside. 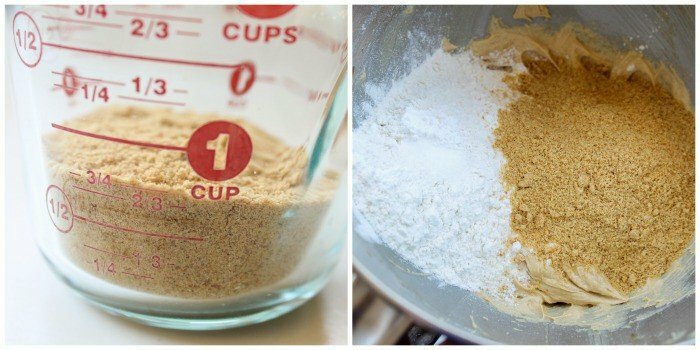 In a large bowl or stand mixer, beat together butter and 1/4 cup peanut butter. Add the brown sugar and white sugar and beat again. Mix in the egg and vanilla; beat thoroughly. Dump the flour on top but do not stir. Add the graham cracker crumbs without stirring. Use a small spoon to add the baking powder and salt to the top of the flour. Stir it gently with the flour. Then use the beaters to mix in the dry ingredients, only mixing until barely combined. Spread about half of the dough into the bottom of the prepared pan. Get your finger tips wet it you have issues spreading. Spread 1/3 cup of peanut butter over the top of the dough. Sprinkle with all of the chocolate chips. Use your hands to shape pieces of the remaining dough into about 4 or 5 flattened shingles. 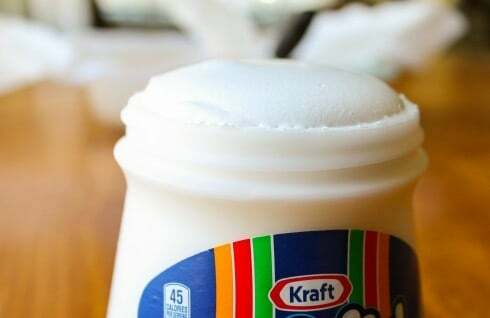 Add them on top of the marshmallow cream, filling in gaps as you go. It doesn't need to be perfect, just try to cover the whole thing with dough. It's easier for me than spreading. Bake at 350 F for 28-30 minutes, until lightly golden on top. Let cool (maybe. I mean, if you want.) Cut and serve! With lots of milk. Trust me. I just realized in the pictures I added the marshmallow cream, then the chocolate chips. It doesn't really matter what order you go in (except the peanut butter. Definitely spread that on top of the first layer of dough). 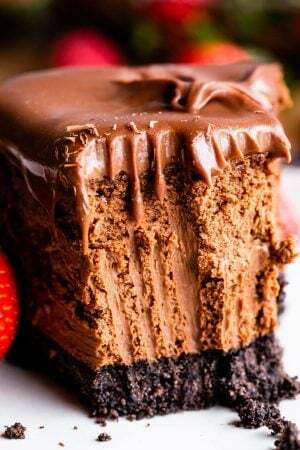 If you prefer, you can use 2 bars of chocolate instead of the chips. I just never have bars on hand so I use chips. Try not to eat all the dough. It’s hard, I know. 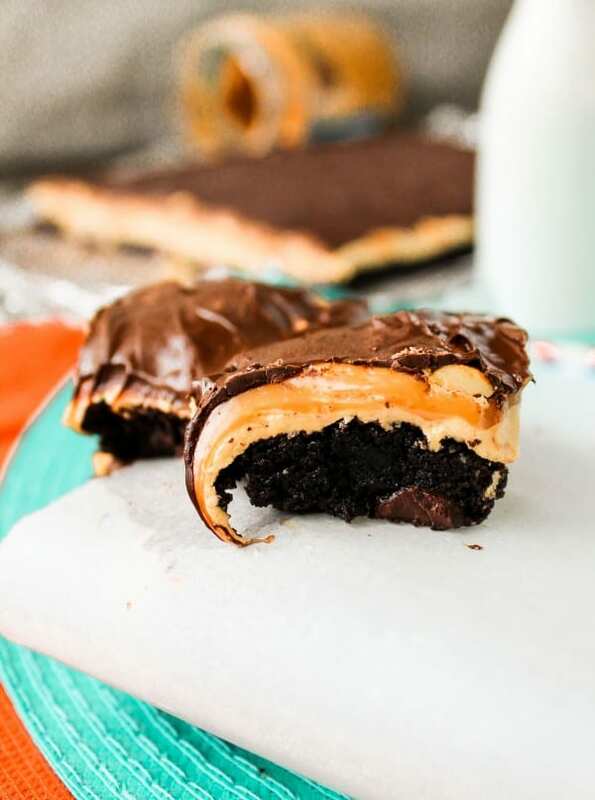 Make sure you add the peanut butter layer on top of the bottom layer of dough. Make sure you get all the foil off the top of the marshmallow cream. Trust me, microwaving makes it so much easier to spread. Here is my technique for getting the top crust layer on there. It doesn’t need to be perfect. Thanks Katie, I hope you guys enjoy them! These bars are a huge favorite of mine! Love love love this recipe! I have made it several times. I’ve altered it for our tastes by omitting the spread of peanut butter and doubling the cookie part. I use Guittard dark chocolate chips and sometimes I also double the amount of marshmallow fluff. So delicious! Thank you so much for the recipe!! If you wanted to double the recipe (to a 9×13 pan), would you need to change the temperature of the oven, or how long you keep the bars in there? Hey Amy! No don’t change the oven temp, and I would start checking it at the same time as the original recipe states. I doubt it will take much longer! Enjoy! It says we need 1/4 cup of peanut butter and then it says we need 1/3 cup of peanut butter again.. how much peanut butter do we actually need?? 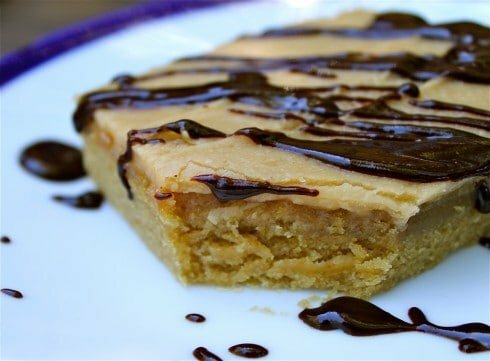 There is 1/4 cup peanut butter called for in the dough, 1/3 cup is spread on top as one of the layer. Enjoy! Yeaaah! I could eat a whole pan right now! Bahahahahah this story is the best. I mean, photo or it never happened, right? Also, OMG JUST STOP WITH THE AMAZING DESSERTS ALREADY! You’re killing me. Karen — I have no words for these. Except, you’re making me fat!!! ;) But whatevs. haha I do crazy things to take pics of my dog all the time. Too funny! And holy cow amazingness! These bars! 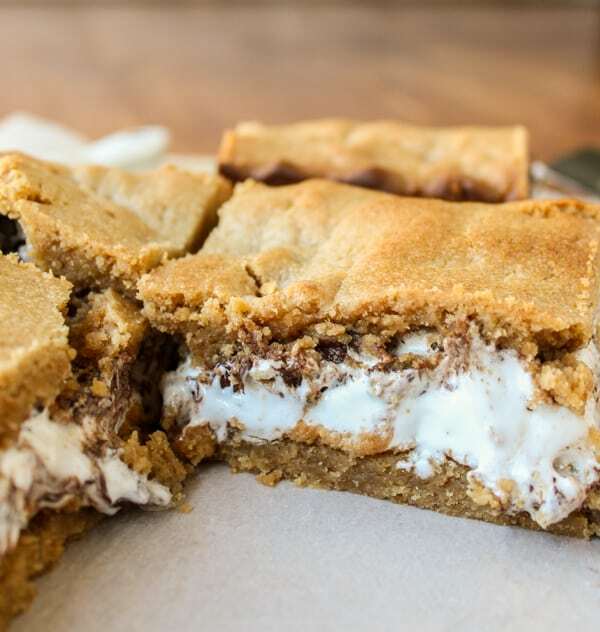 Peanut butter + s’mores in one? I’ll take one please! Adding these to my must-try soon list for sure! Peanut butter s’mores are the only way to go. I was like ten and at a fathers and daughters church campout before I realized that other people DIDN’T put peanut butter on s’mores every time. I thought that was just part of a s’more. Part of this stems from the fact that microwave s’mores were a common family night treat at my house and those work better if you use peanut butter. I will DEFINITELY be making these. too delish – shared it on Simon’s FB page https://www.facebook.com/SimonsGrootConstantia, thanks! 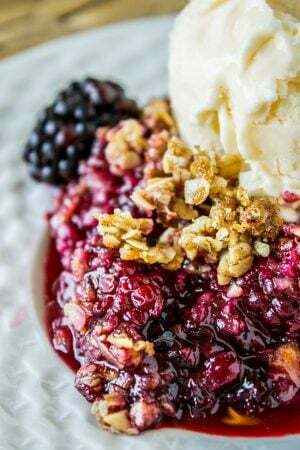 Beautiful–my favorite flavors and one of my favorite summertime desserts. I love this dessert! Okay, 1. LOL! That is too funny, and I get it. We have people that live in the PB catalogue and I’m all, what? I have a dog? 2. THESE are the most amazing thing I’ve ever seen. Pinned! i thought nothing could top smores.. but then you went and added peanut butter. 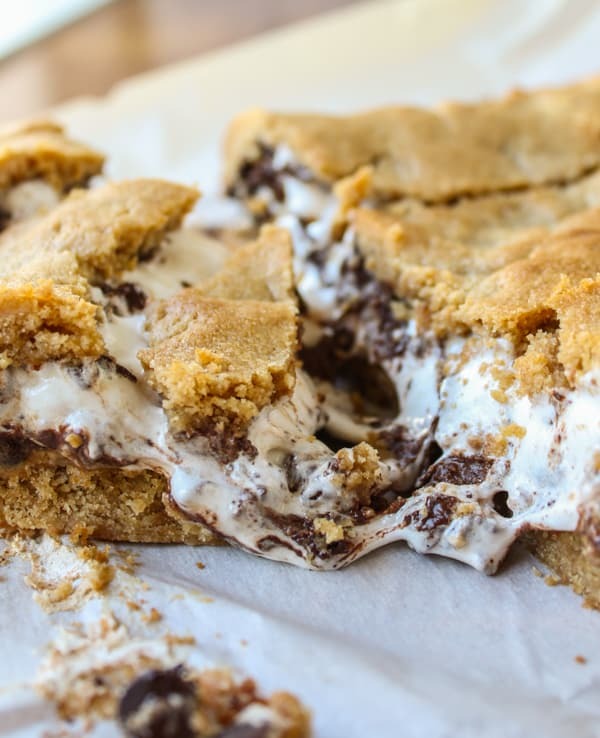 this is a crazy delicious idea, i could SO devour a vast amount of these bars right now! Haha! Oh gosh that would have been good! Uhhh… it’s for Instagram, back off! Believe it or not, I’ve never tried s’mores with PB cups. I need to remember to buy some next time I’m at the store! Hahaha!! Anything for an instagram photo right? :) Don’t you hate those moms though? The I would never moms? I just wanna slap em sometimes. Oh and try the Reeses Smores, total game changer. Are these the ones you brought to Ambers!?! 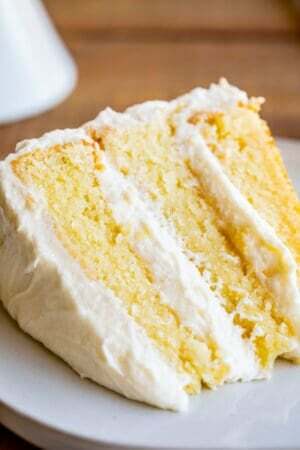 So, essentially you’ve baked perfection. I’ll take a dozen please! Haha! Kind of :) Thanks Russell! Mmmm! Those look yummy! I would have loved to see a picture of Truman in the fireplace. haha! I always try to snap those kind of pictures too. They’re the best kind to look back on. Right Melanie? I was so sad I didn’t get a picture! I was also sad that I missed out on a picture of yesterday when he found my lingerie drawer. It was awesome. I can barely stand how gooey these are. Yum! Thanks Jennifer! They really are kind of ridiculous. Off to check out your Strawberry Lemon Sandwich cookies, YUM! These look so amazingly gooey and marshmallowy!! And I’m with you. Nothing is better than s’mores except s’mores with butter and peanut butter!